Playful Spirit offers programs that include Arts Integration, and essential curriculum along with introducing many of the national standards of music. Every student will be an active participant, with opportunities to play instruments from all over the world. Single day programs would be just an overview, week long residencies would take your students on a rhythm journey, culminating in both traditional and improvisational performances. All programs provide the opportunity for an evening community drum circle! 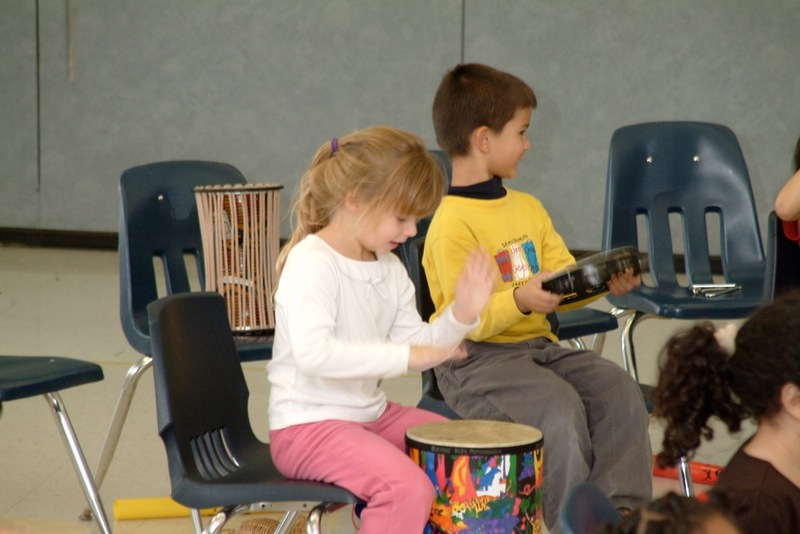 Drumming can be used for team building, for community, and to reduce stress. As a trained HealthRyhthms facilitator, Ms. Hill works with employee wellness, eldercare, at-risk youth, special needs, etc. This protocol has been proven to open the lines of communication and to promote personal empowerment. For more information please go to www.healthrhythms.com. Let Playful Spirit Adventures bring something different to your next event. Drum circles are great for building community in your neighborhood, your family or with your friends. Copyright (c) 2013, Playful Spirit Adventures. Site set-up by AgaraTech.